Six years after Disney’s “Wreck-It-Ralph” became another animated hit for the studio, they deliver the follow-up “Ralph Breaks the Internet” (personally I think “wrecks” would have sounded better than “breaks”). In many ways the sequel is superior to the original. This seems to be a common thing for the sequels to Disney/Pixar films. “Toy Story 2”, “Cars 2” and “Incredibles 2” I felt were all better than the first films, though I am sure many will disagree. What makes “Ralph Breaks the Internet” superior is the amount of heart the story has. The friendship between the two main characters, Ralph (voiced by John C. Reilly) and Vanellope (voiced by Sarah Silverman) has blossomed into something very sweet over the past six years. After the steering wheel breaks on the “Sugar Rush” arcade came, Vanellope and the rest of the video game’s characters find themselves gameless. Although Vanellope found herself growing tired of racing the same three tracks over-and-over again, “Sugar Rush” was her game and now she has nowhere to go when the arcade opens each day. When the arcade owner installs an internet router, Ralph and Vanellope go on a quest through the vast world-wide-web to locate a replacement steering where. The only place in the internet that has one is ebay, but because they are video game characters, they don’t have the money needed to buy it. One way to raise the money needed is inside the video game, “Slaughter Race”. If they can steal a race car that belongs to Shank (voiced by Gal Gadot), they will be able to earn the money they need. That proves to be much more difficult than anticipated, but Shank has a soft spot for Vanellope and loves that the little racer was able to give her a real challenge. Shank decides to send Ralph and Vanellope to see Yesss (voiced by Taraji P. Henson) who is the head of a youtube-like site. There she makes Ralph a video star to help raise money. The more time Vanellope spends in the internet, the more she begins to realize that going back to “Sugar Rush” might not be where she wants to spend the rest of her life. The hardest part of her decision is breaking the news to Ralph who doesn’t want to lose his best friend. This leads to some of Ralph’s bad choices that result in the breaking of the internet. The world of the internet in “Ralph Breaks the Internet” is truly spectacular. I love how it is designed to look like a massive metropolis. This is a limitless world that could be explored more in future sequels or spin-offs. “Ralph Breaks the Internet” is great for the family as it can be enjoyed by not only the kids, but their parents as well. 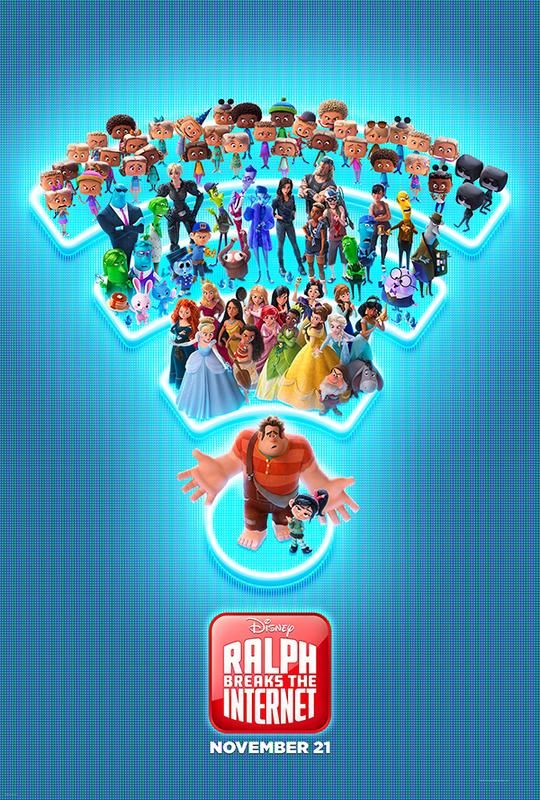 If you are a fan of “Wreck-It-Ralph” I have no doubt you will be a fan of the sequel. Advance Screening of RALPH BREAKS THE INTERNET in South Miami!